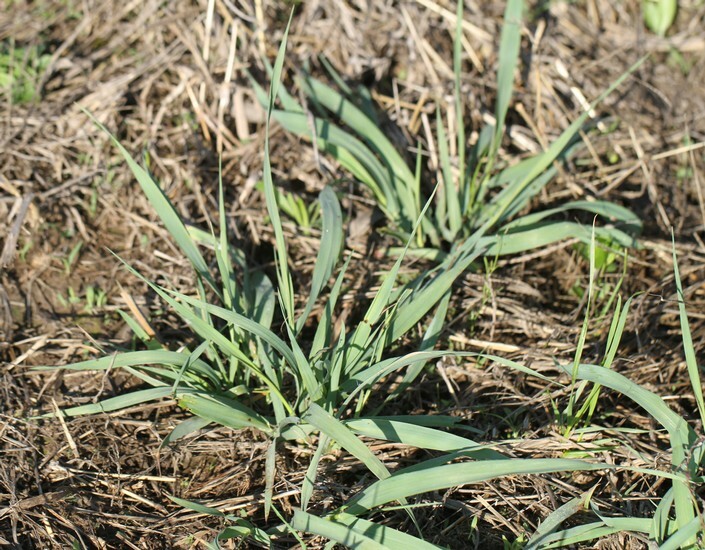 A perennial grass weed from rhizomes that may reach 3 1/2 feet in height. 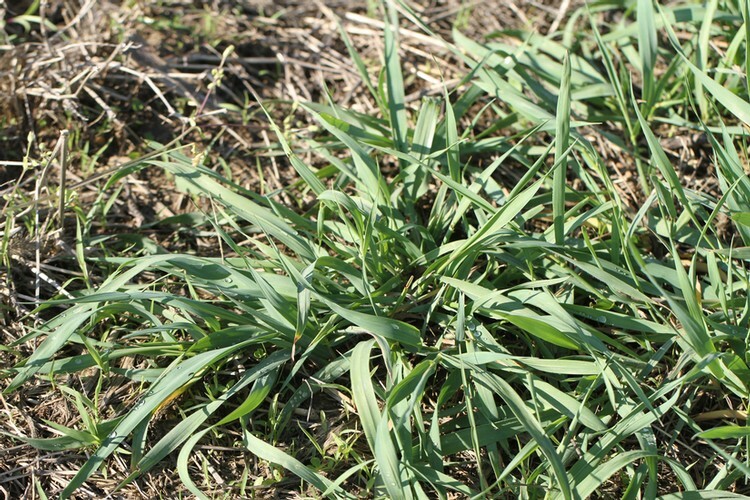 Quackgrass is a common weed of agronomic crops, turfgrass, lawns, nurseries, and landscapes that may be found in the northern United States from North Carolina to California. First leaf is very long and wide and may have hairs or be hairless (glabrous) on the upper surface but are without hairs on the lower surface. 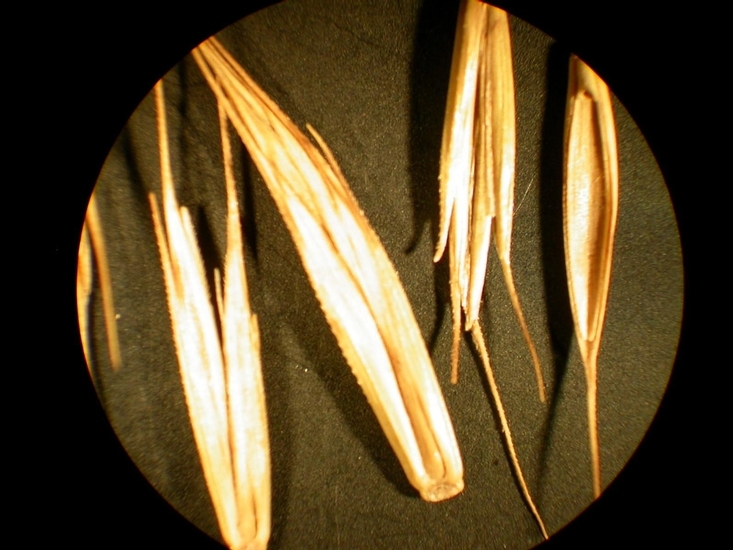 Leaves are rolled in the bud and have membranous ligules that are very short (0.4 mm long). Seedlings have auricles but are often difficult to see on very young seedlings. Leaves are rolled in the bud and are approximately 1 1/2 to 12 inches long and usually 2 to 3 mm wide but may reach 12 mm in width. Leaves may or may not have hairs on the upper surfaces, but lower leaf surfaces are without hairs. 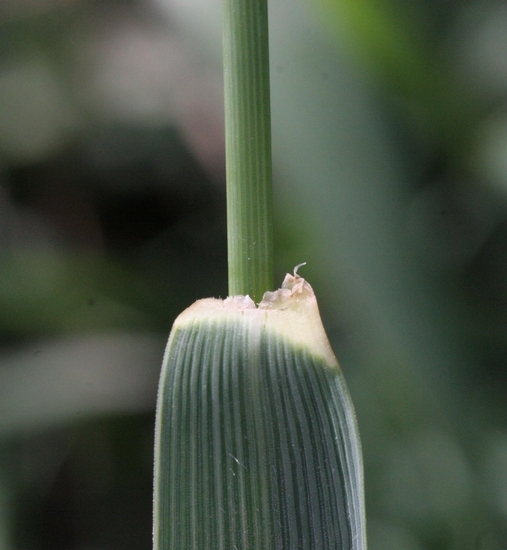 Leaves have membranous ligules that are less than 1 mm long and also have narrow auricles that clasp the sheath. 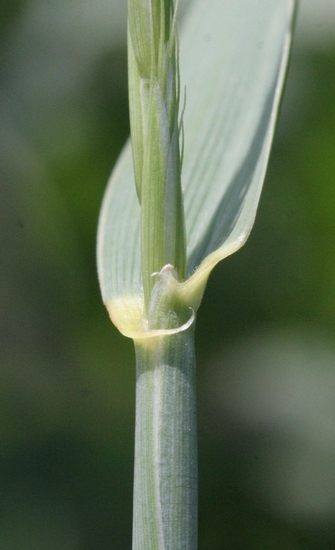 Leaf sheaths are rounded and may have short hairs but hairs typically can be found only near the base of the plant. Stems often bend out and up from the base of the plant. Seedhead a long, narrow spike consisting of many individual spikelets arranged in 2 rows along the stem. 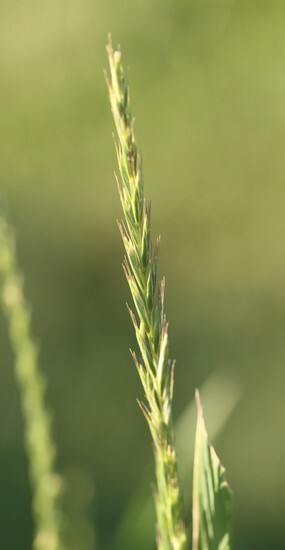 Spikes range from 2 to 8 inches in length while individual spikelets are approximately 11 to 18 mm long with awns. Rhizomes and a fibrous root system. 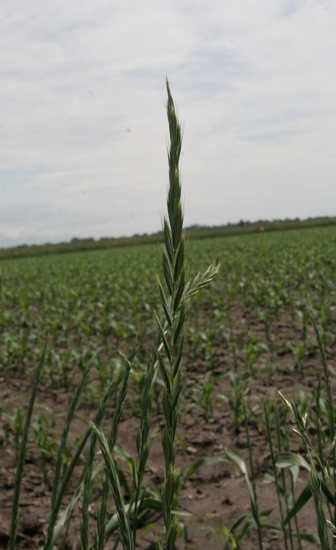 A perennial grass weed with auricles that clasp the stem, rhizomes, and a long, narrow spike for a seedhead. 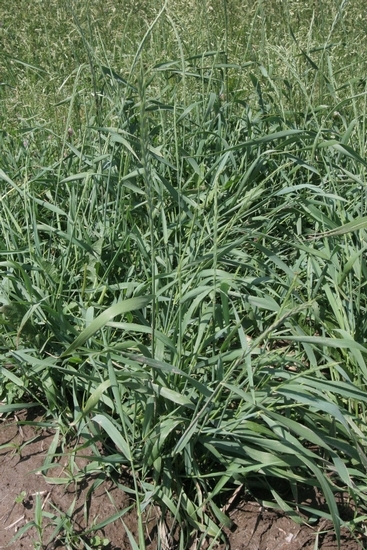 The auricles of this weed helps to immediately distinguish it from most other grass weeds, however Tall Fescue (Festuca arundinacea), Annual Ryegrass (Lolium multiflorum), and Perennial Ryegrass (Lolium perenne) are similar grass weeds that also have auricles. 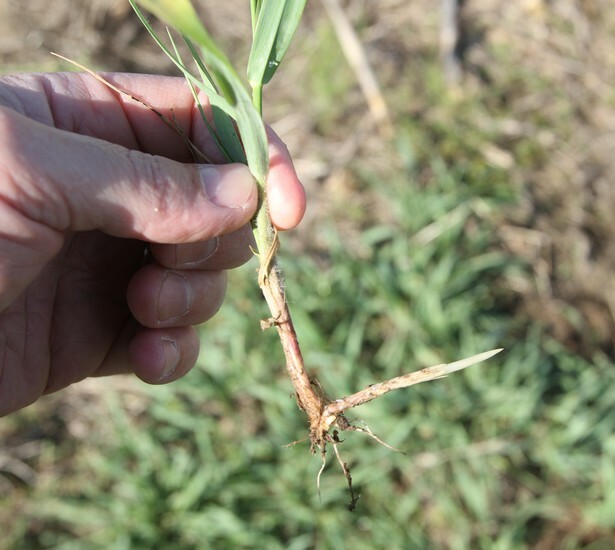 However, none of these grass weeds have rhizomes like quackgrass.